Oregon is a leader in designing and building zero energy homes and buildings. Throughout the state, you’ll find examples of net zero energy residences, commercial buildings, schools, offices and more. As of 2017, there were 471 zero energy residential housing units (individual homes and apartment units) in Oregon, 365 of these are in Portland, making Portland the 4th city in the country for zero energy home and apartment units. Learn more. Find zero energy builders and designers in Oregon and get started on your zero energy project. A multi-family residential building for low-income residents built to the Passive House standard in Hillsboro, Oregon. Learn more. A 7-unit net zero energy multi-family co-housing project in the heart of Portland. Learn more. 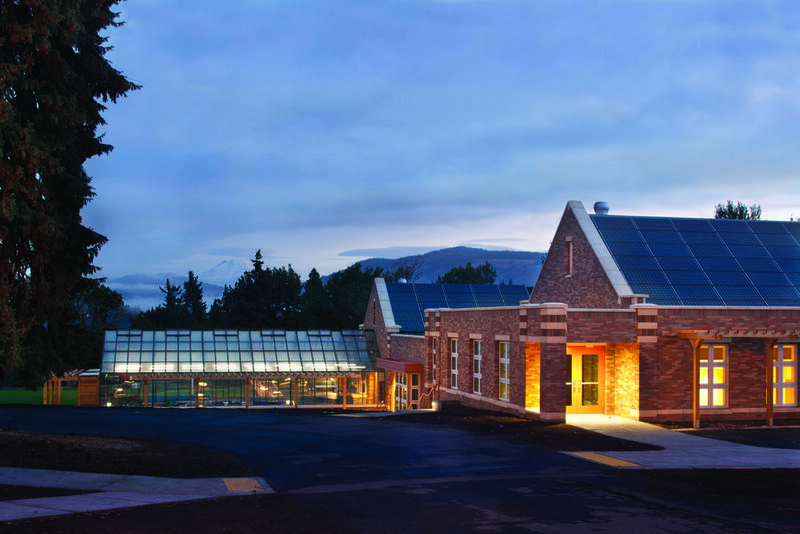 The first certified net-zero energy school building in the nation. Learn more. 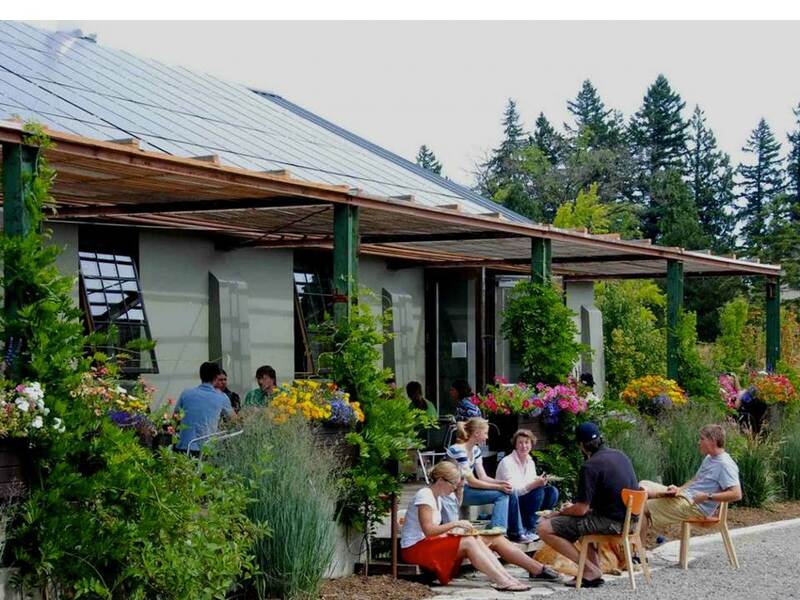 A net zero energy community center, office, art gallery and event venue in Salem, Oregon. Learn more.